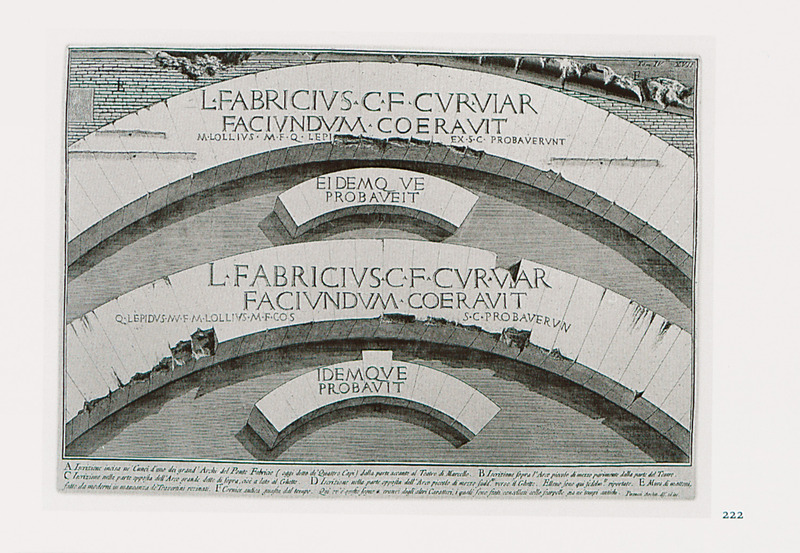 Plan of the bridges Fabricius and Cestius, Rome. 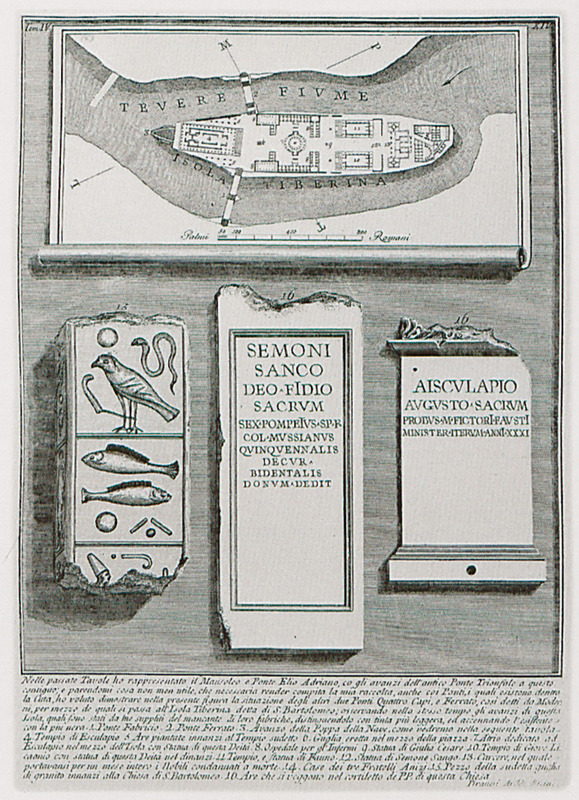 Inscriptions in hieroglyphics and Latin. 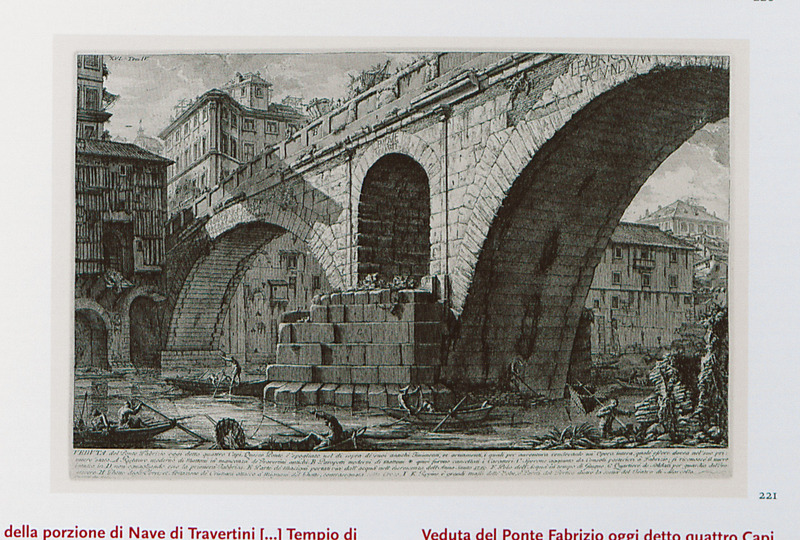 Remains of the bridge of Fabricius (Ponte Fabricio), Rome. 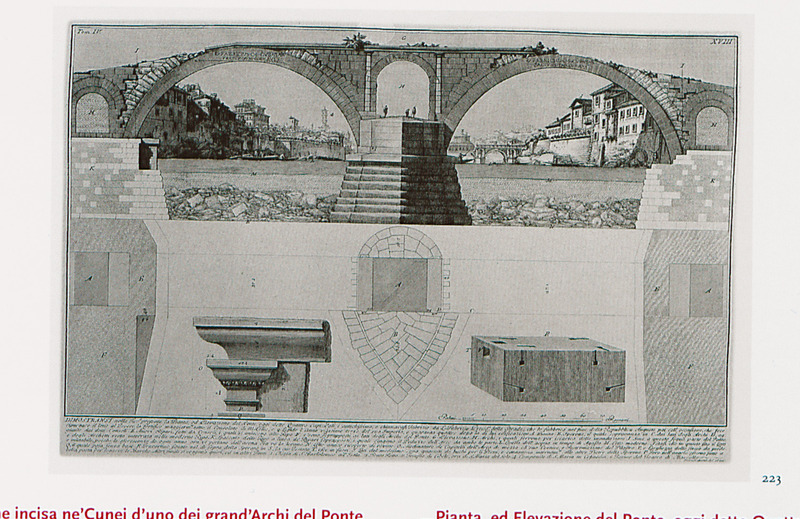 Plan and elevation of the bridge of Fabricius in Rome. 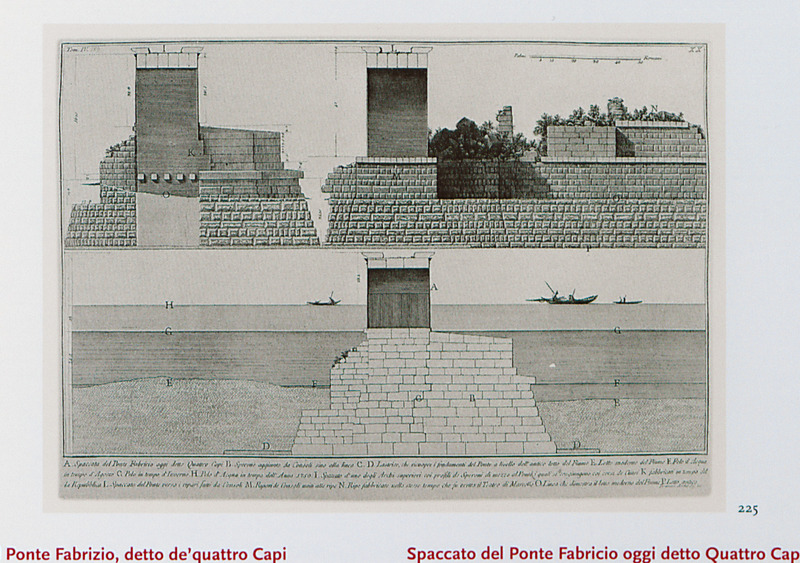 Section of the bridge of Fabricius in Rome.